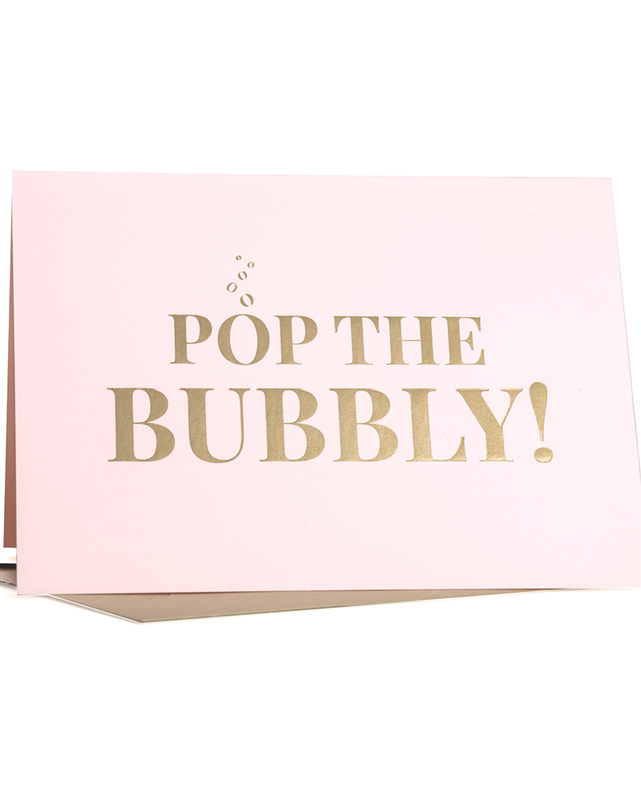 The new “Pop the Bubbly” Card is the first in our new line of gold foil Holiday Greeting Cards. “Pop the top and enjoy a little fizzle, then cheers to a new year that’s sure to sizzle”, reads the inside of the card. The paper is the softest pink in color and feels like velvet. 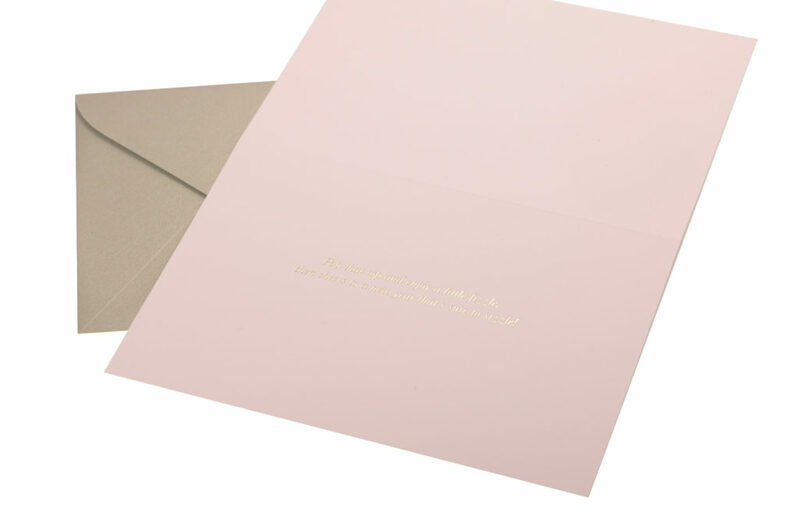 Accompanied by a luxe metallic gold envelope, this is the perfect card for toasting friends and family into the new year!